Exploring Bedford Street Independents | gingerbread smiles. If you're hip and happening living in Middlesbrough you will have heard of the new place to be, Bedford Street. A redeveloped section in central Middlesbrough, Bedford Street hosts a selection of restaurants and bars all fresh and diverse. I wanted to give you a virtual tour along the street and you can see what you fancy from the comfort of your sofa. Then obviously hop a taxi to Bedford Street to fill your boots with great food and drink! First up is Songbird Bakery. A beautiful little spot selling a wide selection of the cutest and most delicious cakes. If you want somewhere to chill out with a cup of tea and a cake, this is the perfect spot. If you don't have enough time to stick around you can always take some cupcakes away, maybe even pick one up for a friend? 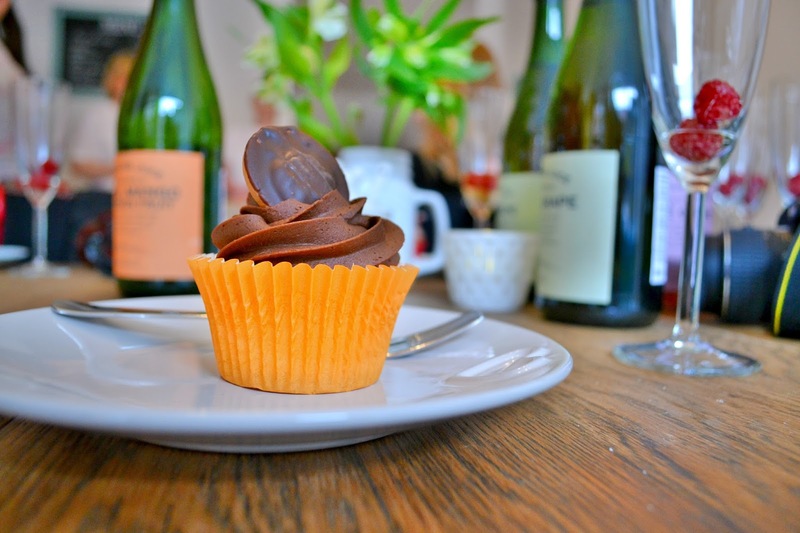 To read about the launch of Songbird Bakery and see more photos, visit Kirsty's blog - Number Twenty Six. Next on the street is the Nuthatch. For cocktail lovers, this is what Middlesbrough has been crying out for. This sophisticated space boasts a huge menu filled with more alcohol then you could even try to name. 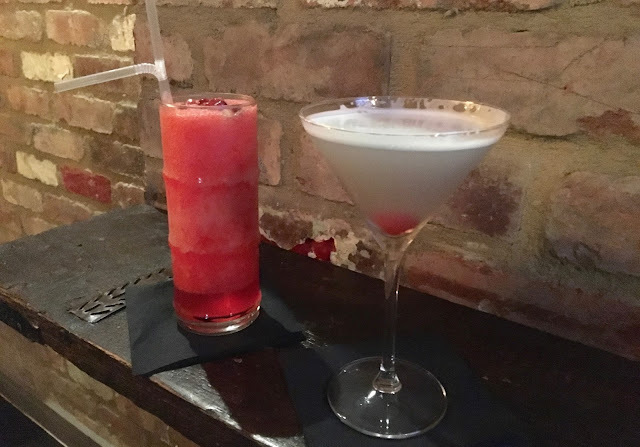 The cocktail list is extensive and having personally taste-tested a couple, I can say they taste pretty darn good! To read more about the Nuthatch and see some fancy photos, head over to Megan's blog - Thumbelina Lillie. 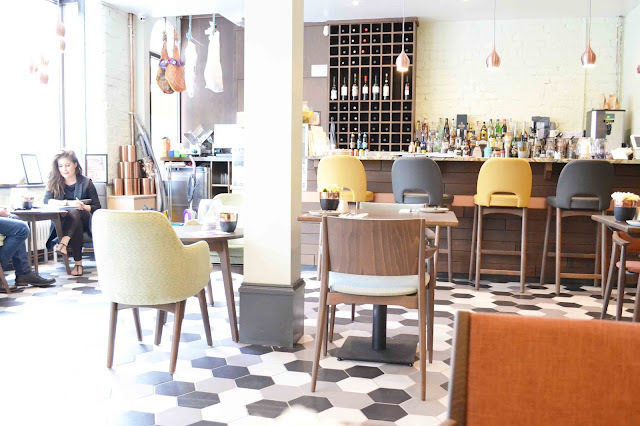 Down from the Nuthatch is Barbarossa Pizza Kitchen & Bar. 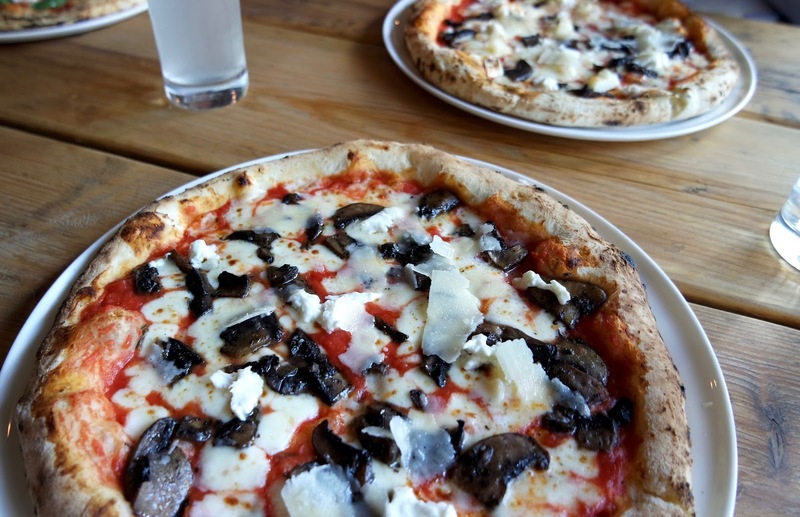 Barbarossa specialises in creating delicious pizzas from fresh ingredients and cooking them up in their authentic pizza oven. When we visited the restaurant was bustling with all ages with everyone looking to enjoy their food. Definitely somewhere to stop if you're hungry for a pizza! If you'd like to read about our visit to Barbarossa, click here. Another micro-pub to add to Middlesbrough's collection although this one is a little larger than the others. The Chairman is a good spot for a casual drink serving a selection of beers, wines and spirits. I ventured here late on a Friday night for drinks trying out some different tasting vodkas including salted caramel and orange. It was a good atmosphere with lots of seating which I loved as I hate standing on a night out! I didn't try it but the Chairman also has a food menu which lots of people are loving. Next on the street is a meat eaters dream. The Curing House offer up a selection of meals all jam packed with flavour. They have an extensive breakfast/brunch menu with a good selection of burgers and sandwiches as well as a fancy pants menu for those visiting for dinner. To read more about brunch at The Curing House, visit Carli's blog - The Tea Bee. If you're looking for a good cup of coffee whilst wandering down the street, I suggest you visit Bedford Street Coffee House. Although I'm not a coffee drinker, and haven't actually visited here yet, this place looks very trendy and the coffee looks amazing. Here they literally buzz off the coffee offering only the best, presented ready for your Instagram reel. 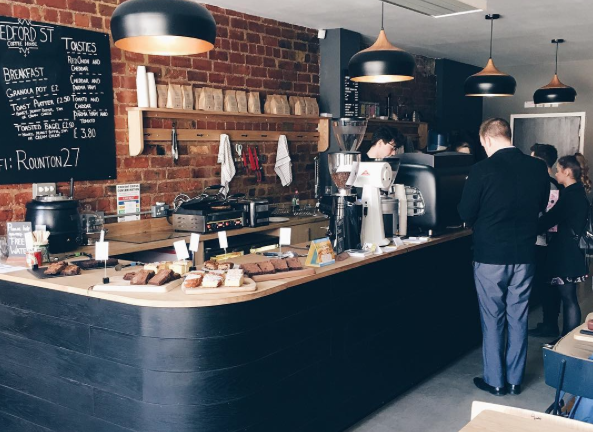 To read more about Bedford Street Coffee House and Rounton Coffee Roasters visit Gianni's blog, The G Edit. 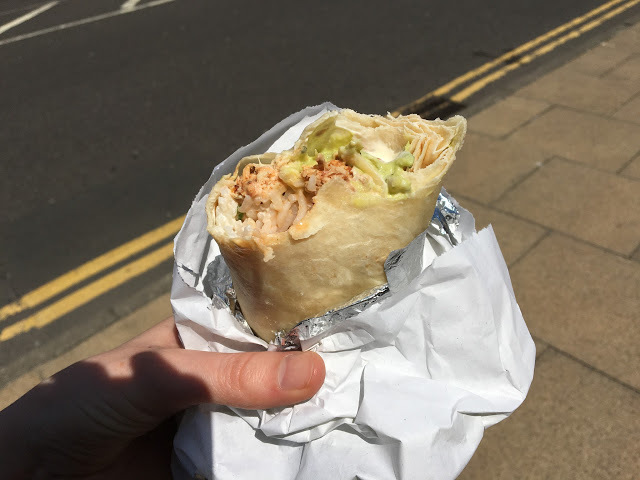 I'm a real burrito lover so I knew that Mohujos Burrito Bar was going to be one of my favourite additions to Middlesbrough. I was not disappointed. The shop is small as it's only really meant for takeaway although it does have two small tables. The selection to pick from was great and I ended up with a burrito full to the brim of goodness. I will definitely be returning for another, and possibly some nachos! To read more about Mohujos Burrito Bar check out the Gazette's article. Last but not least is Roast! Roast opened in August and so far the feedback has been amazing. They serve up roast meat sandwiches and full on roast dinners. I can't wait to get down and try this out as it is right up my street! I love roast dinners. To read more about Roast, visit their Facebook page! I love Bedford Street and will be visiting these restaurants again and again. 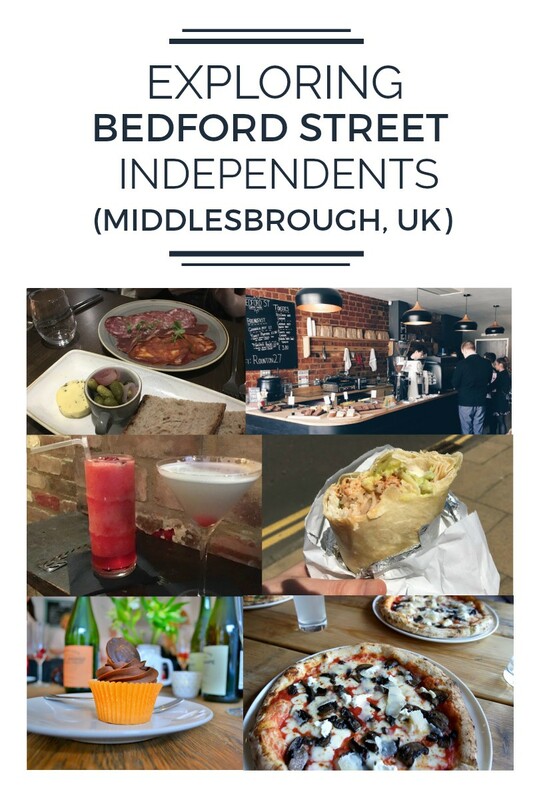 Let me know if you've been to any of the places on Bedford Street and what you think of them! I have heard so so many great things about Bedford St, I'm quite jealous! I'll have to arrange a visit! Omg, I need to move to this street.. actually no, that's probably not a good idea, but wow! All these places sound amazing!